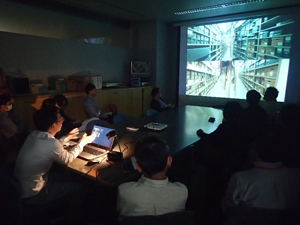 The 11th fall seminar of the Japan Art Documentation Society was held at Ochanomizu University in Tokyo on October 13th, 2018. Researcher Hideki KIKKAWA from the Department of Art Research, Archives and Information Systems delivered a joint presentation with Ms. Masako KAWAGUCHI from the National Museum of Western Art, which was titled “Efforts to Enhance the International Visibility of Japanese Exhibition Catalog Papers: Contribution of ‘Tokyo National Research Institute for Cultural Properties, Art Bibliography in Japan’ in OCLC.”　The presentation was based on the past report (http://www.tobunken.go.jp/materials/katudo/249516.html) regarding the entry of data as “Tokyo National Research Institute for Cultural Properties, Art Bibliography in Japan” in the OCLC Central Index that was started in January 2018, with a focus on the project’s background and contribution. 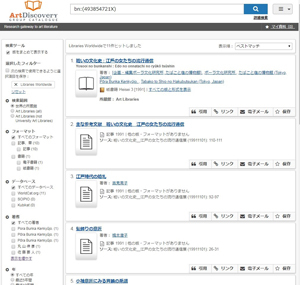 Ms. Kawaguchi mentioned that the Art Discovery Group Catalogue (ADGC) was launched by the committee organized by world-famous libraries—following negotiations with OCLC—as one of the products of the framework of international collaboration in the field of fine arts library for the last ten years. She also stated that overseas art history databases were entered in the OCLC Central Index—one of the basic databases of ADGC—as the backdrop for the project. 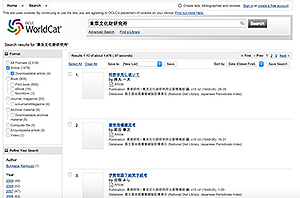 Kikkawa reported where “Tokyo National Research Institute for Cultural Properties, Art Bibliography in Japan” originated from, how the required data was collected and organized for the entry in OCLC, and how bibliographic data was provided for WorldCat.org and ADGC, in addition to the project’s further development in the coming years. 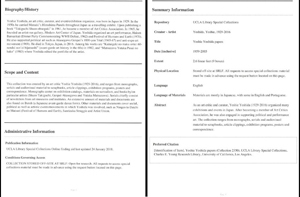 “Tokyo National Research Institute for Cultural Properties, Art Bibliography in Japan” created during the editing process of the “Yearbook of Japanese Art” covers the latest outcome in fine arts research from Japanese galleries, museums, and universities. By transmitting such information widely, we would like to improve the research environment of cultural properties in Japan. The 29th European Association of Japanese Resource Specialists (EAJRS) conference took place at Vytautas Magnus University in Kaunas, the second largest city in Lithuania, from September 12th through 15th, 2018. 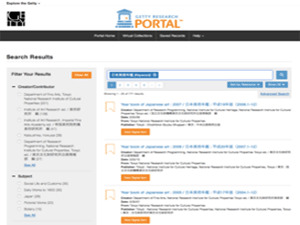 EAJRS is an association comprising librarians, professors, curators, and other specialists who handle Japanese studies materials in Europe. The 2018 conference organized under the title of “(G)localizing Japanese Studies Resources” attracted 82 members from 20 countries (44 from Europe, 34 from Asia and 4 from North America). Mr. Hideki KIKKAWA, Researcher of the Department of Art Research, Archives and Information Systems of this Institute reported the progress of the “Project to Make Japanese Exposition and Exhibition Materials Published from the Meiji to the Showa Open Access,” on which the Institute has been working together with the Getty Research Institute. During the Q & A period after the presentation, the expectations for the project were expressed and a lot of requests were made. This period provided us with a precious opportunity for further development of the project in the light of the received requests such as the one requiring the materials covered under the project to be increased or expanded. 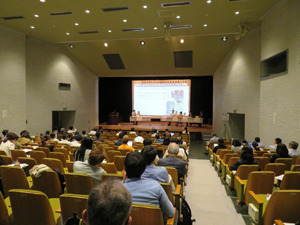 The annual conference consisted of 14 sessions, where 31 presentations were delivered, including the ones on studies of Japanese material collections and facilities having such collections delivered and introduced by overseas institutions, as well as a variety of activities and services to support overseas Japanese studies introduced by Japanese institutions. Opinions were actively exchanged in various places of the venue. Please access the URL of EAJRS for details of the conference program (https://www.eajrs.net/). The 2018 conference successfully ended after deciding the 2019 conference schedule to be held in Zurich (Switzerland). 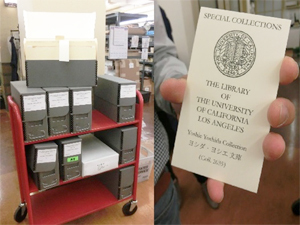 In the seminar conducted on May 23rd, 2018, by the Department of Art Research, Archives and Information Systems, Researcher Hideki KIKKAWA delivered a presentation titled “Storage, Conservation and Provision of Archives at the University of California, Los Angeles – Taking YOSHIDA Yoshie Collection as an Example.” The presenter visited the departments involved in the storage, conservation, and provision of archives at the University of California, Los Angeles (UCLA), and consulted with the concerned personnel on the occasion of opening the collection on YOSHIDA Yoshie, a Japanese critic, at UCLA in February 2018. 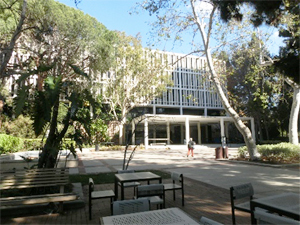 Based on his visit and consultation at UCLA, the presenter reported the outlines of UCLA and its group of libraries, as well as how to manage archives, while discussing not only a budget scale for archives but also a more effective way of operating archives at domestic institutions with less personnel assigned. From outside the Institute, artist Ms. Yoshiko SHIMADA, who was involved in the donation to UCLA, and curator Mr. Yukinori OKAMURA from Maruki Gallery for the Hiroshima Panels, the gallery of Mr. and Mrs. Maruki, who had close relationships with YOSHIDA Yoshie, attended the seminar to exchange opinions from the viewpoints of specialists during the discussion after the presentation. In recent years, when artists and concerned personnel who pioneered postwar Japanese art have begun to pass away, Tokyo National Research Institute for Cultural Properties is now expected to partially assume the role of securing the access to their archives without dissipation at a permanent institution. On March 31st, the bereaved family of Yoshihiko IMAIZUMI (1931–2010), who was an artist and principal of an alternative art school “Bigakko,” donated the precious materials possessed by him. Mr. Imaizumi was involved in the avant-garde art movement while he was studying at the Department of Fine Arts, Nihon University College of Art. He wrote art critiques while creating paintings, and he was involved in the publication of a magazine “Keisho” in 1958. Since the foundation of the “Bigakko” in 1968, Mr. Imaizumi had been supporting the activities of avant-garde artists through widespread interactions with them until his last years. The papers donated this time include his diaries, photos, books and magazines, documents, and letters sent to him from the 1950s through the 2000s, which occupy book racks 6 m in length. Several materials are related to Yutaka MATSUZAWA, Hiroshi NAKAMURA, Natsuyuki NAKANISHI, Gempei AKASEGAWA, and Mokuma KIKUHATA, who taught at the art school. The letters exchanged with the Soviet Union in 1955 and 1957 when he was a member of the exhibition executive committee of the World Festival of Youth and Students, which was regarded as the Universiade for socialist countries, are also included. The letters enable verification of the relationships with non-American and non-Western European countries in the late 1950s. The papers are also valuable in the context of the cultural and social histories during the Cold War, in addition to art history. Members of the Department of Art Research, Archives and Information Systems of the Institute visited his house to survey the papers before the donation by courtesy of his bereaved family. We will provide these precious materials as research data at the Library of the Institute after taking actions to conserve and organize the data for retrieval. One of the sources for information regarding any exhibition or art museum is the art magazine. In recent times, there has been an increasing use of TV or the internet as an information source. However, before TV and the internet became popular and accessible to all, the art magazine, regularly published with pictures of various works of art, was a visual and immediate source for transmitting/supplying information to persons involved in the fine arts and art lovers. In the research on Japanese modern art, these art magazines play an important role as materials that reflect the details of the trends and movements in the fine arts of the time. Tokyo National Research Institute for Cultural Properties is a rich source of information as numerous art magazines published in the Meiji era and thereafter are in its possession. An open seminar titled “Toward Sharing Information on Art Magazines” was held on March 16th to provide an opportunity for participants to discuss the organization, publication, and sharing of such information. Mr. Shioya unveiled the Institute’s history of collecting art magazines and described the project started by its predecessor, The Institute of Art Research, in 1932, to compile the art history of the Meiji and Taisho eras and the project to publish the “Yearbook of Japanese Art” initiated in 1936. Then, Mr. Ohtani pointed out the scarcity and the significance of the art industry journal published from 1935 through 1943, “Nikkan Bijutsu Tsushin (Daily Art Journal)” (the title was changed to “Bijutsu Bunka Simbun (Art Culture Newspaper)” in 1941), by introducing its articles on reorganization of the Imperial Academy of Fine Arts and the inside story of the organization that led to it publicly seeking works for its exhibition. Finally, Mr. Mori presented a comprehensive view on the friction between the concepts of “fine arts” and “magazine” brought in from Western Europe and the scope of Japanese pre-modern art, after presenting an overview of modern art magazines. After the presentations, the three researchers held an active discussion together with Mr. Hideki KIKKAWA (Tokyo National Research Institute for Cultural Properties) as the MC taking questions on the presentations from the audience and settling on the proposed ways of sharing information using art magazines as a topic. 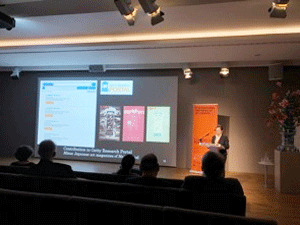 In addition, Mr. Kikkawa mentioned how there has been steady progress regarding international information sharing among art magazines, and he introduced the efforts of the Institute, such as (a) a joint project with the Sainsbury Institute for the Study of Japanese Arts and Cultures to build a database of Japanese fine arts literature mentioned in European magazines; (b) providing metadata of “Mizue” published in the Meiji era for the Getty Research Portal operated by the Getty Research Institute; and (c) uploading “The Bijutsu Kenkyu (The Journal of Art Studies)” and “Yearbook of Japanese Art” on JAIRO, operated by the National Institute of Informatics. The seminar, which functioned as a site to exchange valuable information, attracted 80 persons involved in archive operations at art museums, universities, and publishing and other companies. Related to the presentation by Mr. Mori, a book editorially supervised by him and containing information on art magazines from the Meiji era through the pre-war period of the Showa era, will be published soon by TOKYO BIJUTSU Co., Ltd. titled “Overview of Japanese Art Magazines 1867-1945” (temporary title). 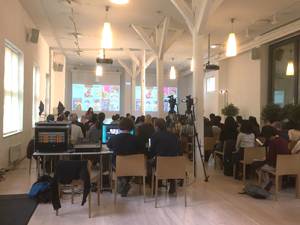 The 28th European Association of Japanese Resource Specialists (EAJRS) Conference was held at the University of Oslo, Norway from September 13th through 16th. From the Department of Art Research, Archives and Information Systems of this Institute, Mr. Kikkawa attended the conference. EAJRS is an organization composed of librarians, professors, and museum and gallery curators who handle Japanese study materials in Europe. The 2017 conference was titled “Digital Strategies for Japanese Studies: Theories and Practices,” attracting more than 90 participants. At this conference consisting of 14 sessions, 30 presentations were made, regarding studies on the collections of Japanese materials overseas by the Chester Beatty Library, the C.V. Starr East Asian Library at Columbia University, and so forth; digital archive programs by the National Institute of Japanese Literature, the National Museum of Japanese History, the International Research Center for Japanese Studies, the Japan Center for Asian Historical Records, and the Shibusawa Eiichi Memorial Foundation; the expertise on references using internet tools by the National Diet Library; and initiatives by the EAJRS Conservation/Preservation Working Group. At the conference, we conducted a resource provider workshop and set up a booth to introduce our research programs and archives. We exhibited our publications and digital archives with explanations. Through talks during the period, overseas experts gave us concrete advice on how information should be disseminated through the institutional repository, as well as evaluation of our publications. This was really a good opportunity for us. You can access the EAJRS site (http://eajrs.net/) to watch this conference. 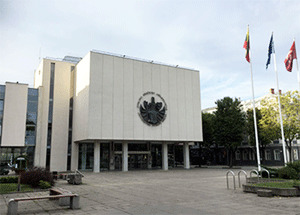 The 2018 conference is scheduled to be held at Vytautas Magnus University in Lithuania. Yutaka MATSUZAWA(1922-2006), known for his work and performance based on unique concepts, developed his own thoughts and concepts by assimilating oriental religious views, cosmic views, modern mathematics, astrophysics, etc., and expressed them in the form of art. As a highly important figure, he has been well regarded as a pioneer of “conceptual art” not only in Japan but also in the world. 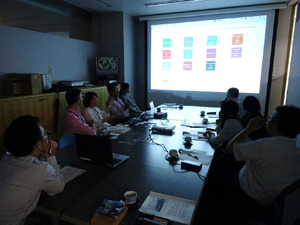 This research council meeting was held with the objective of sharing, among concerned parties, the summary and development activities of the Yutaka MATSUZAWA Archives, which are now being managed by the General Incorporated Foundation “MATSUZAWA Yutaka Psi Room” (Executive Director Haruo MATSUZAWA), and of confirming their value as research materials. First, the following researches and reports were presented: Ms. Yoshiko SHIMADA (Artist) “Current progress towards establishment of the MATSUZAWA Archives: March 2017”; Mr. Shuhei HOSOYA (Research Assistant, Film and Media Department of Tohoku University of Art and Design) “Current status of research on films related to Yutaka MATSUZAWA and their digitization”; Dr. Midori YAMAMURA (JSPS Postdoctoral Fellowship for Research in Japan, Tokyo National Research Institute for Cultural Properties) “Letters of Yayoi KUSAMA – Character of Yayoi KUSAMA as seen through the Yutaka MATSUZAWA Archives”; and Dr. Reiko TOMII (Art historian, Co-founder of PoNJA-GenKon) “Position of the Yutaka MATSUZAWA Archives in archive studies” (in their order of presentation). 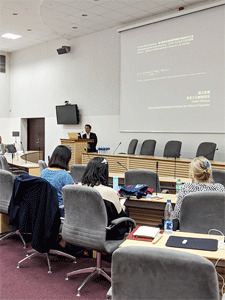 In the discussions held following the presentations, experts of post-war Japanese art participated and opinions were exchanged on major tasks for the development of the Yutaka MATSUZAWA Archives, on the prevention of loss of archives of post-war and contemporary Japanese artists, and on the need to have specialized institutions to house archives for artists, etc. Genpei AKASEGAWA (1937–2014) was a multifaceted figure who was active as an avant-garde artist, manga creator, illustrator, writer (of both novels and essays), and a photographer. Mr. KAWAI gave a talk covering the period from the January 1963 creation of AKASEGAWA’s printed exhibition invitation that was a single-sided reproduction of Japan’s 1,000-yen note to the conclusion of “1,000-Yen Note Trial” in 1970 in which he AKASEGAWA was ultimately unable to overturn the charge of violating Japan’s currency counterfeiting law. 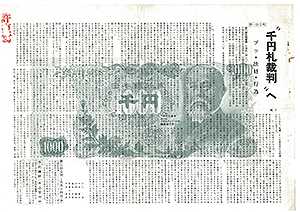 KAWAI analyzed AKASEGAWA’s own writings and looked at how AKASEGAWA’s concept of the “Model 1,000-Yen Note series” was formed. 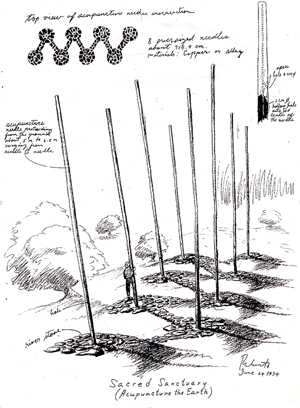 KAWAI pointed out that AKASEGAWA’s “Model” concept was his way of attempting to legitimize his work of art in a historical and theoretical context. KAWAI pointed out features of AKASEGAWA’s later writings and creative activities that continued to espouse the “Model” concept. Mr. Hirokazu MIZUNUMA of the Chiba City Museum of Art participated in the seminar as a commentator, offering a different view of “art” from that held by the artists involved in the 1,000-Yen Note Incident. He also discussed the court trial through the lens of relational art. The result was a lively exchange of views. The JAL (Japanese Art Librarian) Project is a project started in fiscal 2014the fiscal year before last supported by grants from the Agency for Cultural Affairs and led by the National Museum of Modern Art, Tokyo with the purpose, among others, of reconsidering the ideal framework of the service to provide information materials on Japanese art and related information by inviting to Japan experts (including librarians and archivists) who handle Japanese-art related materials outside Japan. The nine invited experts visited related organizations in Tokyo, Kyoto and Nara from November 27 to December 10, 2016. The group visited this institute on November 30 and we showed them in the library, etc. book materials, photos taken in the surveys of artworks, files of modern and contemporary artists, and moreover, the materials and projects related to art sales catalogues, and explained how we provide information on the Internet. Furthermore, the group exchanged information and discussed researches with our institute’s researchers and officials of related organizations in Japan. On December 9, the last day of the training, an open workshop was held in the lecture room of the National Museum of Modern Art, Tokyo where the invitees made recommendations regarding the dissemination of information on Japanese art. It became a good opportunity to review how we provide information on cultural assets on a global basis. Preceding the invitation, Dr. Emiko Yamanashi, Deputy Director General of this institute, had been asked to serve as a Member of the Executive Committee of JAL2016 and gave a seminar on information on Japanese art for graduate students of the University of Pittsburgh. 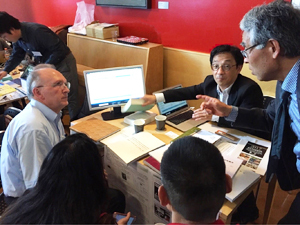 Moreover, as the three-year project was to be completed at the end of fiscal 2016, an “Answer Symposium” (http://www.momat.go.jp/am/visit/library/jal2016/) was held on February 3, 2017, to respond to the suggestions and recommendations made so far. On October 3rd, 2016, Ms. Midori YAMAMURA, who has been working for this Institute since July, 2016, as a foreign fellow from the Japan Society for the Promotion of Science, made a presentation titled “Acupuncture the Earth in Hiroshima – by Roberto Villanueva, the Last Eco Art in His Career” at the seminar organized by the Department of Art Research, Archives and Information Systems. Roberto Villanueva (1947-1995) is a Filipino artist who implemented art with natural materials involving local residents. He called his approach “Ephemeral Art,” which attracted much attention. In her presentation, Ms. Yamamura defined “Eco-Art History” (historical science where environmental issues and art are handled in an interdisciplinary manner) in Europe and the United States first. After looking back at Roberto’s activities in the 1970s and thereafter together with the 1990 Luzon Earthquake and the Eruption of Mt. Pinatubo in 1991, she presented the background and overview of “Sacred Sanctuary,” a participatory approach in art created by Roberto and realized at “Hiroshima Art Document 1995” by volunteers after he had passed away. Ms. Yamamura studied “Ephemeral Art” in relation with modernism including colonialism and the social scale in the Philippines. Perceiving it in the context of “Eco-Art History” in Asia, she presented the relation between this work and the cultural situation in Japan after the Cold War while further examining the “artistic characters unique to Asia.” As commentators, Mr. Masahiro USHIROSHOJI (Kyushu University) and Mr. Masato NAKAMURA (artist, Tokyo University of the Arts) also joined the seminar, where opinions were exchanged actively. Her presentation will be reflected in “Mountains and Rivers (without) End: An Anthology of Eco–Art History in Asia,” an anthology to be published by Cambridge Scholars Publishing. The materials related to Kikuji YAMASHITA (1919-1986) previously possessed by his wife Masako YAMASHITA (1926-2014) were donated from a certain person as of September 30th, 2016. Kikuji is one of the artists representing the Showa era. His works and materials, as well as related works, had also been donated to the Itabashi Art Museum, the Museum of Modern Art, Kamakura & Hayama, and the Tokushima Modern Art Museum. The materials provided for this Institute had been kept on hand by Masako until she passed away. Their volume is so large that the book racks about 6 m in length are filled with them. 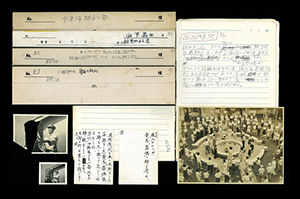 These materials include photos Kikuji may have taken, and materials cut off to be used for his works, which help us to research and understand him deeply. Among them, the photos taken during World War II, when he served on active duty, and after the war as an employee working at the Educational Movie Division of Toho are valuable in the study of the modern history of Japan. 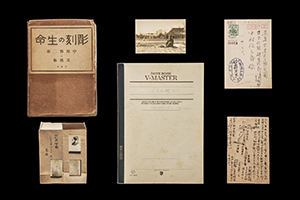 The Department of Art Research, Archives and Information Systems has accepted the archives of modern artists including Taketaro SHINKAI and Hotsuma KATORI to make them available at the Library. We are now organizing these donated materials owned by Masako to make them accessible while giving consideration to private information, privacy or material conservation issues. 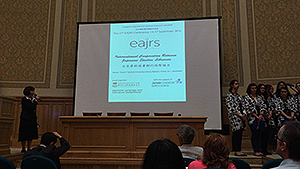 The annual conference of the EAJRS (European Association of Japanese Resource Specialists) was held at the Central Library of Bucharest University in Romania from September 14th through 17th, 2016. The EAJRS is mainly composed of librarians, university professors, museum and art gallery staff members, and other experts who are stimulating interest in and encouraging research in Japanese studies in Europe. At its annual conference for 2016 titled “International Cooperation between Japanese Studies Libraries,” a wide variety of presentations and reports were made through 11 sessions, including the history of Japanese studies, the history of collecting Japanese materials, the program to dispatch Japanese librarians to overseas, the program to invite overseas Japanese studies librarians to Japan, the latest trends in digital humanities, and the project to conserve old Japanese books. (For more information, please access the website of the EAJRS: http://eajrs.net/.) I made a presentation under the title of “Expansion of Cultural Archives at the Tokyo National Research Institute for Cultural Properties (TNRICP): Providing Contents of The Yearbook of Japanese Art for Global Academic Information Infrastructure” to introduce information transmission projects we have been working on this year, including the provision of data for the Online Computer Library Center (OCLC). During the exchange of opinions after the presentation, many people expected us to release our research information accumulated in the Institute. During the term of the conference, lots of exhibition booths were installed by relevant institutions and companies in the lobby of the venue for information sharing and PR activities. At the general assembly held on the final day, it was decided that the next annual conference for 2017 would take place in Oslo, Norway, and the conference ended. With many suggestions on improvement of the accessibility to Japanese cultural property information, attending the conference was a good opportunity for me to think over our archive activities in the large framework of transmitting information on Japanese studies. 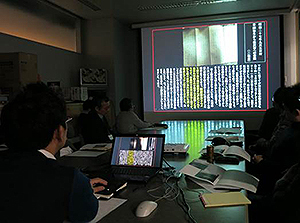 The National Research Institute for Cultural Properties, Tokyo (NRICPT) concluded an agreement regarding the implementation of the “project to formulate the basic grounds for sending information on cultural assets centered on fine arts and crafts both domestically and internationally” with the National Museum of Western Art (NMWA), Tokyo on June 27th, 2016. NMWA was established on the basis of the collection of Japanese business tycoon Kojiro MATSUKATA in 1959. The database of its collection has been acclaimed highly as the norm by experts both at home and abroad as it meets the requirements of the study of art history. The purpose of signing the treaty this time around is for NRICPT to step up its efforts at sending information about the cultural assets in Japan that it discloses on the Internet by making use of NMWA’s method of, and experience in, disseminating information. As the first project under the concluded treaty, we plan to provide the global library service organization Online Computer Library Center, Inc. (OCLC) with the “information on literature listed on the exhibition catalogues published in Japan,” which has been included in the Year Book of Japanese Art that NRICPT compiles and publishes. Through a project like this, we will continue to improve accessibility to information on research on Japanese art overseas. The seminar is being conducted. 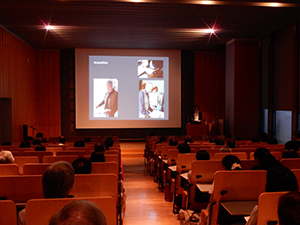 The Institute held a seminar titled “Art Archives – Then and Now” on May 14th. This workshop invited Ms. Birgit Jooss, an archivist and art historian who takes the initiative in contemporary German art archive activities (next head of the Documenta Archive in Kassel, former head of the Germanisches Nationalmuseum in Nuremberg, the German Art Archive, and the Archive, Academy of Arts, Berlin, respectively), in an attempt to bring the significance and issues associated with the archive into question. 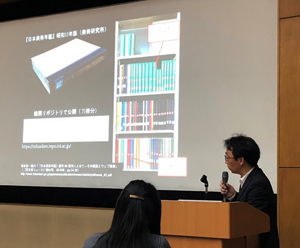 On the day, Mr. Fujio Maeda, a guest professor of Chubu University and professor emeritus of Keio University, gave a presentation titled “Art Libraries and Artist Archives: German Tradition in the Iconic Turn” in which he described the history of archives in the nation. In a lecture titled “Art Archives in Germany: An Overview” delivered by Ms. Jooss, she classified typical art archives in Germany into “Archives of Artists’ Personal Papers,” “Regional Art Archives,” “Art Archives Focused on Particular Subjects,” “Museum Archives,” “Archives for Individual Artists” and “Documentation Centers” and described their respective features and backgrounds of establishment. In general discussions, the audience exchanged questions and answers actively with the presenters and issues common to Japan and Germany were also cited and the seminar ended on a high note. Moreover, prior to the seminar, we gave a facility tour to those concerned, including Ms. Jooss, when they inspected the Material Reading Room and the Library, and exchanged views and opinions. 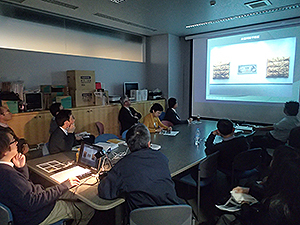 This workshop was co-hosted by the Art Library SIG of the Japan Art Documentation Society (JADS) and the Institute under the sponsorship of the Museum of Modern Art, Kamakura & Hayama and the Yoshino Gypsum Art Foundation. 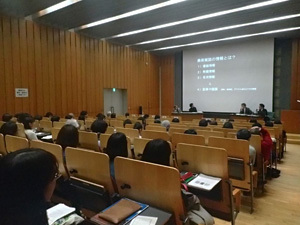 It was also an event organized as part of the “Integration of Producer Information through Collaboration between Museums and Research Institutes,” which was given grants-in-aid for scientific research by the Japan Society for Promotion of Science (JPSP) (Representative Researcher Yuzo Marukawa (National Museum of Ethnology)) as well. Ms. Masako Kawaguchi (The National Museum of Western Art) and Mai Sarai (The Department of Art Research, Archives and Information Systems of the Institute) served as a moderator for the seminar. We received papers of Mr. Denzaburo NAKAMURA, a researcher emeritus of the Institute (1916-1994), from Mr. Toru Nakamura, a family member of the deceased, as of April 30th. Denzaburo was a researcher on Japanese modern sculpture and held a position at the Institute of Art Research attached to the National Museum (currently, Department of Art Research, Archives and Information Systems of the Institute) from 1947 until he resigned from the post in 1978. He researched on authors of sculpture, such as Auguste Rodin, Morie Ogiwara, Denchu Hirakushi, Taketaro Shinkai and Seibo Kitamura, and also conducted a systematic survey into sculpture organizations that existed in the Meiji period and later, thereby taking the initiative in empirical research in the Japanese history of modern sculpture. On top of these, he was engaged in research on the trends in contemporary art of the times centered on sculpture and stereoscopic molding as well as critiquing, which contributed to authors’ creative activities significantly. 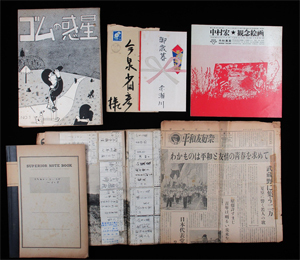 The materials that the family member donated to the Institute were: 1) Publications by, and documents related to, the Rokuzan Art Museum; 2) Materials related to Rokuzan Ogiwara; 3) Materials related to Koun, Kotaro and Toyochika Takamura; 4) Materials related to Taketaro Shinkai; 5) Materials related to Nika 70-nenshi (Nika Association, 1985) ; 6) Materials related to the Institute of Art Research and the National Research Institute for Cultural Properties, Tokyo; 7) Materials related to the Cultural Project to Commemorate the Centennial of the Opening of the Country; and 8) Materials related to the Metallplastik aus Japan, each of which is invaluable materials for research on the history of modern and contemporary sculpture. 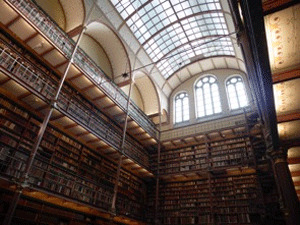 Today, these archives generated by a certain individual or organization are widely recognized as valuable research resources and in recent years, heated debate has been conducted by those concerned as to how to prevent them from being scattered and lost, put in place an environment to better utilize them and hand them down to succeeding generations. We have received archives built by our former staff members, including Yukio YASHIRO, Jiro UMEZU, Kei KAWAKAMI, Takeshi KUNO, Osamu TAKATA and Ichimatsu TANAKA, positively and organized them better through initiatives, such as “Research and Development for Storage and Use of Record of Investigation into Works by Various Academic Predecessors and Image Materials and Others – Taking over the Perspectives of Art Historians” (Representative Researcher: Atsushi TANAKA, Basic Research (B) 2009-2012), and offered them through the material reading room. We will try our best to make public the papers of Denzaburo NAKAMURA donated around September this year while paying attention to issues associated with personal information, privacy and material preservation.